The 47-year-old German, a lawyer by profession, had been chief of staff to Commission President Jean-Claude Juncker for about three and a half years. Last month he was appointed Secretary-General of the Commission in circumstances that took the breath away of many observers. His appointment prompted MEPs to launch an investigation into what one called a “cloak and dagger” operation. In February it was announced that the existing secretary-general, Alexander Italianer, was stepping down after two and a half years in the post. It emerged that Selmayr had applied successfully for the role of deputy secretary-general — and that his only rival withdrew from the contest. Italianer’s departure then gave him a clear run to the top job. There have been claims — vigorously denied — that the process was manipulated to ease Selmayr’s progress. Politico described a typical view of events as “Machiavellian machinations”. EU officials were quoted as being “speechless” at a "crazy” move, one comparing it to the TV series “House of Cards”. Juncker defended his protégé’s sudden rise, saying the Commission needed a secretary-general “who really knows how things work in-house, who has connections across Europe and beyond”. The Commission itself tweeted a comparison between the handover from Italianer to Selmayr and that of the captains of the starship Enterprise in Star Trek. It has insisted that the appointment conforms to EU rules; experts in the field agree that there was no technical breach. However, detractors point to the speed and secrecy surrounding the move. Beyond the controversial process, a combination of Martin Selmayr’s personality and power strike at the heart of sensibilities concerning the EU’s power relative to that of nation states, and democratic accountability. He is credited for being behind policies such as the EU’s decision to cap mobile phone roaming charges and toughen up its privacy laws. Supporters say he played a major role in saving Greece from financial collapse, coped well with the migrant crisis, and enabled the Commission to hold firm over Brexit and in the face of rising populism in Europe. 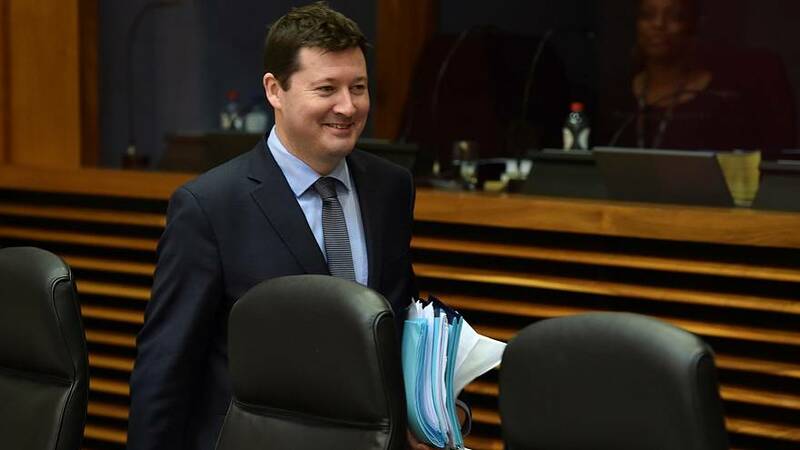 Selmayr’s critics accuse him of contributing to the EU’s unpopularity, and say the way he exercises power underline the lack of democratic legitimacy surrounding the bloc, and the Commission in particular. His appointment has brought suggestions that German influence in EU affairs will be boosted. The country’s European Commissioner defended his compatriot, saying he was “certainly not an undercover agent for German politics”. As secretary-general, Martin Selmayr will oversee the Commission’s administration and operations. He will run the secretariat, co-ordinating the work of more than 30,000 staff across several specialist departments. There is no formal separation of powers between the Commission president and secretary-general. But even staunch defenders of the EU say it is vital that transparency be upheld, with no blurring of the lines of responsibility. Hungary — in the line of EU fire for weakening the rule of law — has seized on the Selmayr case to accuse Brussels of “double standards”. The European Union faces major challenges on several fronts: migration, securing the euro’s future stability, dealing with the UK’s departure, and defending the rule of law in central and eastern Europe. Martin Selmayr is set to wield huge influence behind the scenes, at a critical time. Critics of his appointment say that with the legitimacy of the EU Commission and its president under unprecedented scrutiny, all the more reason for its procedures, rules and governance to be beyond reproach.